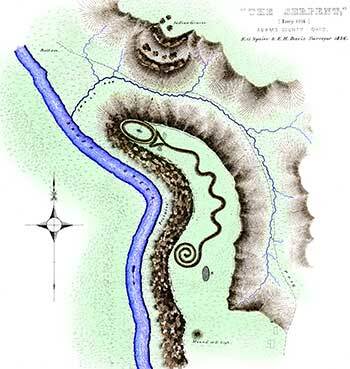 Survey of the Serpent Mound by E.G. Squier. 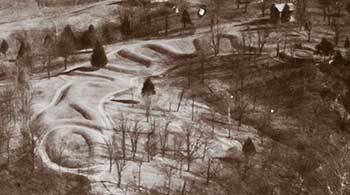 The Serpent Mound is a Native American earthwork shaped like serpent. It is located on Brush Creek, in Adams County, Ohio. While not measuring more than 3 ft in height it spans a area of nearly 1,370 ft long, approximately 1/4 mile. 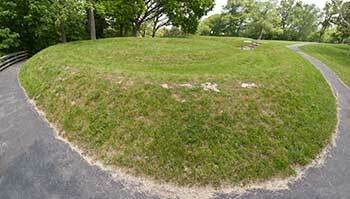 It is located along a plateau in the Serpent Mound Crater made by a meteorite impact millions of years ago. It is curved following the land it rests on. It's mouth is located on the west end and is open, appearing to devour a 120 ft long egg-shaped mound. The tail has seven coils and ends in a triple twirl. The origin of the Serpent Mound, who built it and when, is still widely debated. In the 1700s a tribe of Delaware Indians told a man by the name of John Heckewelder that the Allegheny people built the mound. The Allegheny were a race of people who lived prior to the Adena culture, before approximately 1200 BC. However, oral tradition of this nature is not generally trusted in the scientific community and other recent evidence would suggest that this is not the case. However, many cultures have been attributed as the builders of the Serpent Mound including the Adena, Hopewell, and Fort Ancient cultures. In the 1880s several burial mounds were discovered nearby from the Adena time period along with Adena artifacts. Carbon dating made in the 1990s of several charcoal remains suggests that the mound was built around 1070 AD. The Native American culture of the time would have been the Fort Ancient culture. 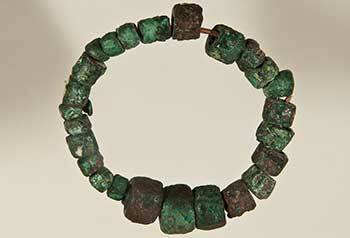 However, not many artifacts discovered at the site coincide with the Fort Ancient Indians. The matter is still under debate. Were they built by any one culture or was it used by many? We may never know. In 1890, F. W. Putnam published a detailed account of the history and excavation of the Serpent Mound in "The Serpent Mound of Ohio". The Serpent Mound was not used for burial purposes. It may have been a shrine or structure of some sort built atop the mound. This may have added some significance to the serpents posture and the egg-shaped mound that we are unaware of. The mound does have some astronomical significance. For instance the head of the snake points in the exact direction of the summer solstice. Their may also be some lunar significance in the curves of the snake. The shape of the mound also corresponds significantly with the constellation Draco. 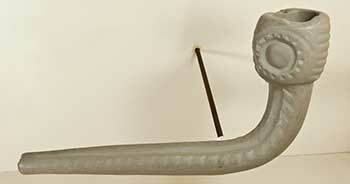 It may have had some religious value as the serpent is a common symbol in many religions. However, one of the most interesting explanations is that given by a Baptist Minister who declared it was raised by God himself as a symbol of Eden which had once existed in the very same spot. This explanation is not based on any scientific evidence. 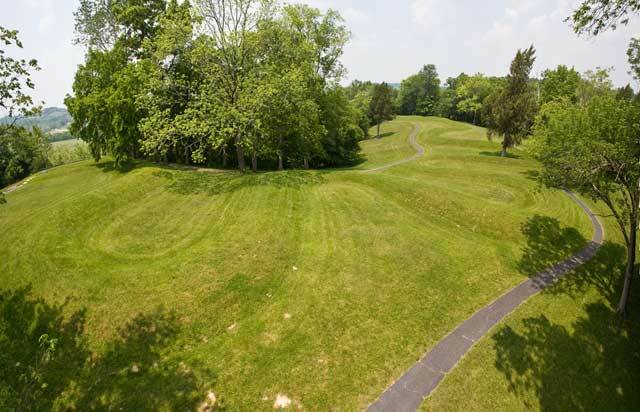 The Serpent Mound and the mounds in the nearby vicinity are a wealth of Native American artifacts. What is interesting is that the artifacts often belong to multiple cultures. This suggests that several cultures have existed near the mound at different times. Among the different artifacts found are pottery, arrow heads, beads, and tools made from shell, flint, and elk horn. Many pipes, probably once connected with reeds long decayed, have been found, often with carvings of human faces or animals.